"One ordinary couple. One little white lie." 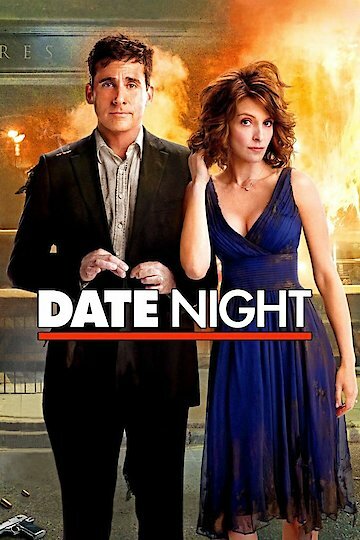 Date Night is a movie about a couple that heads out for an ordinary date night that turns out to be anything but ordinary. This movie stars Tina Fey and Steve Carrell as the married couple, Phil and Claire Foster who are heading out on a date. They usually go on a date every week but this week is different because Phil decides to spice things up. He decides to take his wife out to a fancy restaurant but there is a problem; they cannot get a table. So Phil gets creative and decides that they will steal a reservation of another couple who does not show. This decision to use another identity quickly lands them in trouble with the mob. They are approached at dinner about a flash drive because it is thought they are the other couple, the one that did not show for their reservation. When the confrontation gets dangerous Phil tells them that the flash drive is somewhere else in an attempt to buy him time to think their way out of this mess. Phil and Claire escape the bad guys that are after them but they know it is only a matter of time till they find them again. They attempt to go to the police but they end up receiving no help there so they realize they are on their own. Phil has a friend who is a security expert who helps them to find the real couple they were pretending to be. They track down the couple and get the flash drive so that they can get the mobsters off of their back. Next, they find out who is behind all of this and find a way to blackmail him so that they can get out of this mess once and for all. Along the way, Phil and Claire have many comical moments and also realize they are still deeply in love. Date Night is currently available to watch and stream, download, buy on demand at Amazon Prime, Amazon, Vudu, Google Play, FandangoNow, iTunes, YouTube VOD online.